We have been studying the Gospel of Mark since January 2018 and it has been an incredible experience to dig into this dramatic biography of Jesus. And this weekend we will complete the journey! We hope you can join us we look into the end of the story with Christ's death, burial and resurrection. It's almost bittersweet to be ending the series because I have enjoyed it so much, but I love that we're ending with a huge celebration that Jesus is alive—and the great significance of that for us today! 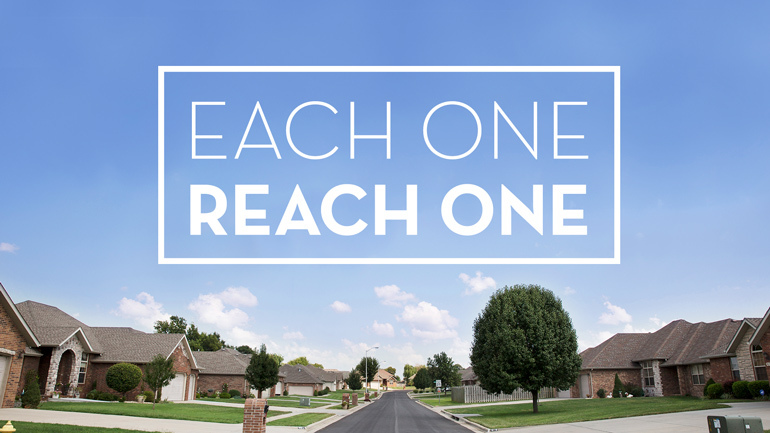 We also are in the middle of our Each One Reach One mission as a church. This is the perfect time of year to extend an invitation to that person with whom you live, work or play that you have been praying for this year. The Easter Egg Hunt on Saturday and our Easter Sunday services will be ideal for those friends and family that have never been to church before. 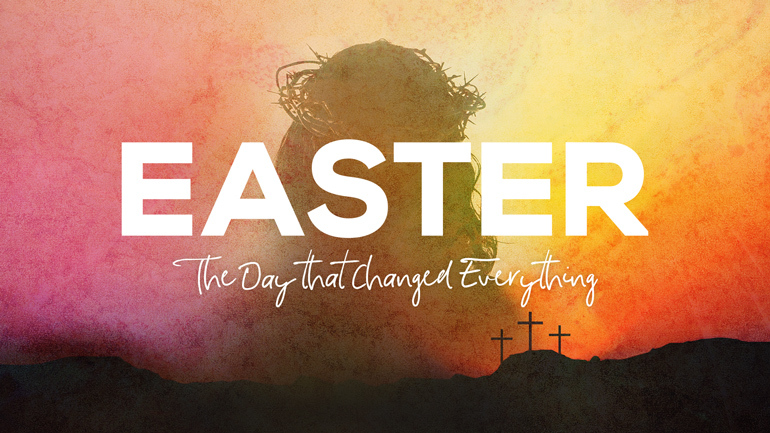 This Sunday we celebrate the day that changed everything. Can it be the day that everything changes for you? The Good News of Mark ends suddenly and dramatically: three mourning women visit the garden tomb where Jesus was buried, and instead find an angel waiting for them! The angel tells them not to be amazed at him, but to be amazed that Jesus has risen. They went out from that meeting terrified, astonished, and full of awe. What is your reaction to the resurrection of Jesus? This is the most important day in all of history. This is the day that changed everything. I invite YOU to come celebrate this amazing day at Calvary Church of Santa Ana! And I want to encourage us all to be spreading the word and inviting others to come experience it, too. Who is God calling you to reach out to? Who are you inviting to Easter at Calvary? Let's each go across the street or across the office or across the classroom or across the field to invest in the lives of the people with whom we live, work and play. We will also have one more opportunity for you to pick up Treats for your Peeps this Sunday to give as an invite. I want to open our hearts to God's leading as we are in the middle of Reach Week and heading towards Easter. How has God been prompting you to respond to this inspiring call to reach across the street and around the world? We know that God is calling our church so that Each One would Reach One with the good news of Jesus by Easter of 2020. What would it take to for you to see one person that you know and love be transformed by the saving grace of Jesus this year? What does that picture look like? How do we start painting that picture? 1. We pray! This is all about the Holy Spirit's power and presence in doing the work of this vision. We pray the CHOW Prayer of evangelism. We ask God to give us Courage, Heart, Opportunities and Words to Say. We pray that prayer everyday at 10:02am inspired by Luke 10:2 where we learn that the harvest is ripe but the workers are few. So we ask the Lord of the Harvest to send workers for the harvest, including ourselves. You can pick up a Missionary Prayer Guide this Sunday in the Lobby and commit to lift them up as well. You also might be called by God to go across the world. Email Matt Doan at to start a conversation about what it looks like to start the process of being a missionary from Calvary Church. Here's what I know for sure! God is calling you to something! He's calling you to share your faith with someone! He's calling you to make an impact on this world for His Kingdom. He's calling every single one of us. No one is left out from this calling. This is a family business. We truly are better together. How is God calling you to reach today? Our purpose statement at Calvary Church states, “Calvary Church is a community where we CONNECT with God and others to GROW in our faith so we REACH Orange County and the world for Jesus Christ. 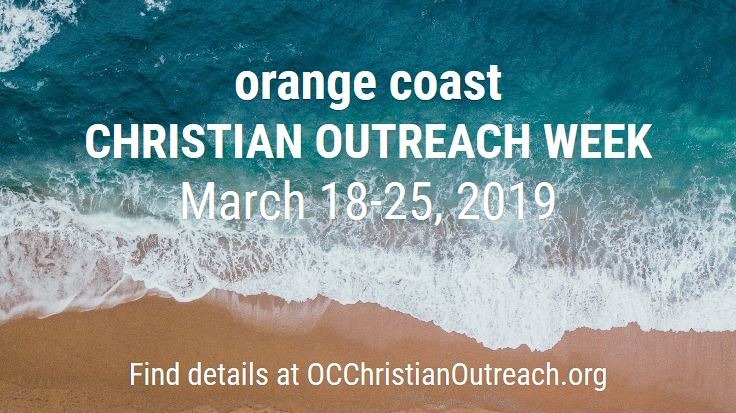 Each time I re-read the part about “Reaching Orange County and the world for Jesus Christ,” my palms get a little sweaty! Reach the 3.3 million people in Orange County and the 7.7 billion people in the world? How could one church in Santa Ana, California aspire to such an outrageous and large task! 1. We don’t take on this task of reaching Orange County and the world alone. Jesus Himself promised that he would be with us in obeying the Great Commission (Matthew 28) and He promises us the power of the Holy Spirit when fulfilling this commission (Acts 1:8). 2. We the people of Calvary Church are part of a larger movement of churches and Christians all over the world, passionately living out the same purpose. It’s not just us, we belong to a worldwide team! 3. Our purpose to reach Orange County and the World for Jesus Christ begins with the simple task of “walking across the street” and building loving relationships with our neighbors, co-workers, fellow hobby enthusiasts, friends and social networks with the hope of demonstrating and proclaiming the good news of Jesus. Our purpose isn’t to reach 3.3 million all at once. It begins with one. Our 90 global missionary partners spread out over 35 countries, courageously and passionately “walk across the street” each and every day in a cross cultural context. We are so excited to share their stories with you during Reach Week 2019! 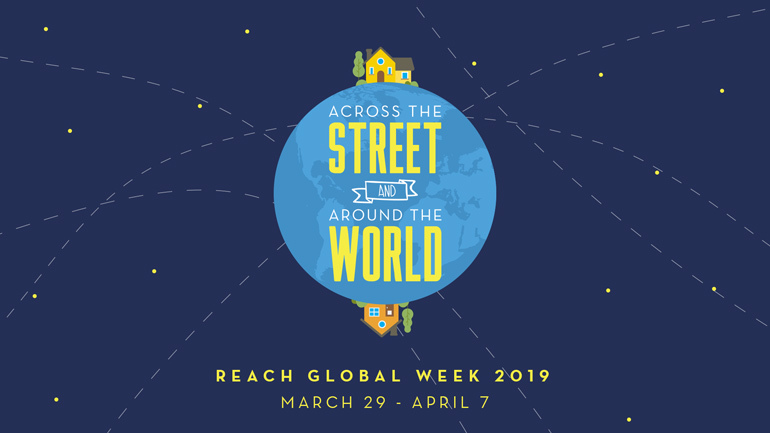 We hope to see everyone on Sunday for our opening worship service of Reach Week with special guests: Jeannie Marie, author of "Across the Street and Around the World," and Bill Campbell, a Greater European Missions (GEM) missionary serving in Paris, France. 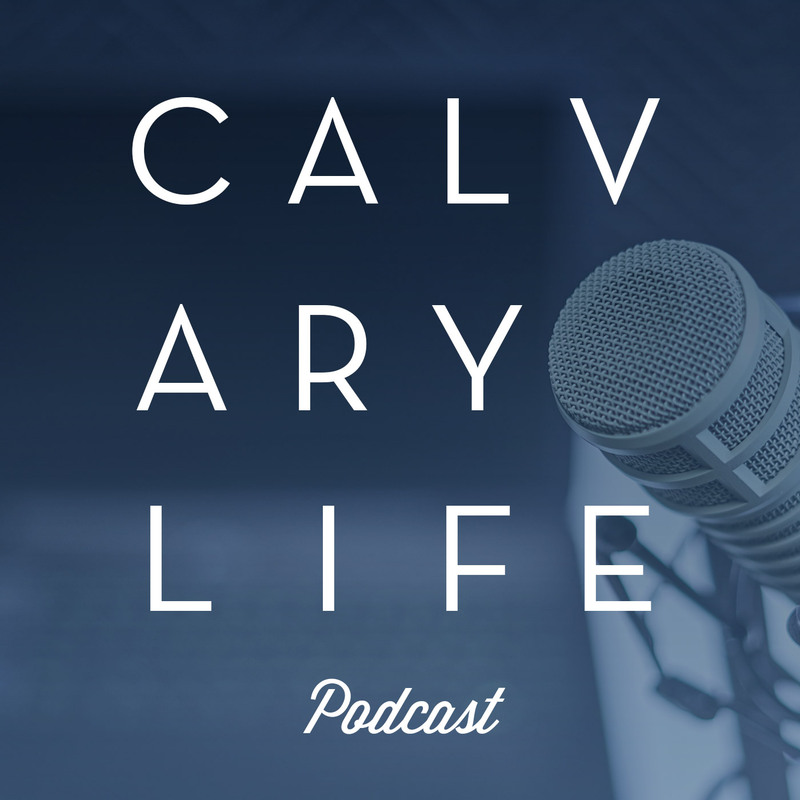 Bill is our guest on this week's episode of the Calvary Life Podcast, where Pastors Eric and Matt sit down with Bill Campbell as they talk football, hear his testimony, and learn how God is moving in western Europe - and why it might be the missions field of the 21st century. Check it out at calvarylife.org/podcast or wherever podcasts are streamed. Join us for Reach Week 2019 as we gather to hear inspiring stories of God at work across the street and around the world. Scroll down to begin exploring all of the amazing events and consider where God may be calling YOU! 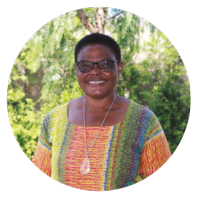 Get to know our Calvary missionaries on a whole new completive level! 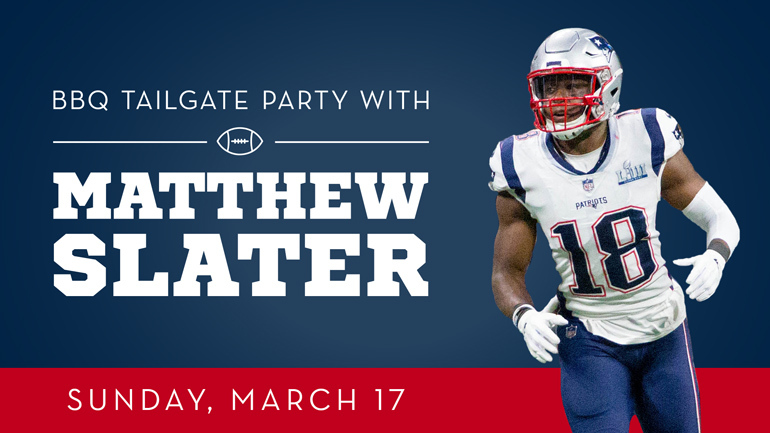 Come enjoy tacos on the field and hear details about our upcoming summer short terms teams and how you can pray for each of them. Cost is $5. Learn More Here. Jesus is so beautiful, full of grace, love and truth. We have hope in Him that can never be found anywhere else. We have this mission for EACH ONE of us to REACH ONE person with the good news of Jesus Christ by Easter of 2020. The whole point is that we want to see the people we care about experience the same love and grace that we have received from God. We have 3 great opportunities for you to invite someone to share in a conversation about Jesus in ways they will love. I wanted to say a huge thanks again for all you are doing and giving this season. I was thinking back on the Each One Reach One focus we have had this fall. I've heard so many great stories of people passing out the grocery bags and meeting new neighbors. Then the Christmas Cookie Boxes were an even bigger success. I love thinking of the thousands of people that were blessed with a gift and an invitation this season. We are all about blessing people at Calvary Church. Then there was the Christmas Tree Lighting. There were somewhere in the range of 1,500-2,000 people at the event when we expected maybe 500-700. I kept having people introduce me to their neighbors throughout the night. That was so encouraging! We received cards from around 500 people at the event who weren't regular attenders at Calvary Church and we invited them all to Christmas Eve and to Calvary in general. This is something to seriously praise God for!!!! The good news of Jesus is being made known through you! Our next series starts this Sunday called "The Week that Changed the World" as we finish the Gospel of Mark. My prayer is that this season from now until Easter will be a season that changes the world for hundreds of people. I pray that this is the season when their eternity is sealed in the presence of Jesus Christ. 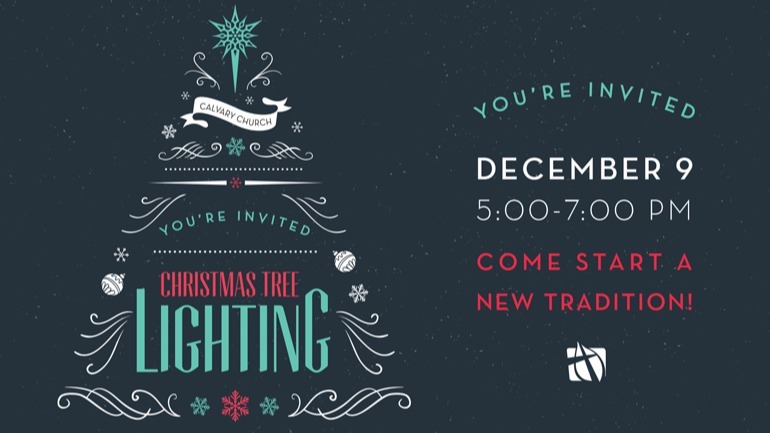 We are just a few days away from the big Christmas Tree Lighting! I'm so excited to see what God does as we pray and invite people to this night with both fun and meaningful moments. We passed out our boxes with cookies and invitations to our neighbors a couple nights ago. It was great to have small moments of connection with some people that we know well and some people that we don't really know at all. They all know me as "the guy with the crazy Christmas lights" so it was funny to talk about a Christmas Tree lighting. They were all happy and almost surprised to have a neighbor giving them a gift. I encourage you to prayerfully give your neighbors a gift this Christmas and pray for it to turn into the ultimate gift of salvation in Jesus the Messiah. Last Sunday, we shared the dream of having each one of us, reach one person with the good news of Jesus by 2020. The first action step towards this vision was launched with the “Orange County Rescue Mission Grocery Bag Challenge.” We are encouraging each one of us at Calvary Church to go meet and interact with 8 neighbors. As we meet our neighbors, we are also inviting them to join the fight to end hunger in Orange County by filling up a bag of groceries for the O.C. Rescue Mission. All you have to do is drop off one of the Calvary issued grocery bags with your info on it to your neighbors and have them drop it by your house anytime this month. Over the next 3 Sundays, you will see an OC Rescue Mission Truck parked in the courtyard at Calvary. You can drop off filled grocery bags to that location. Ellie (age 4), Benny (age 3) and Charlie (age 1) are siblings who attend Calvary Church along with their parents Gregg and Teresa. They are a loving and fun family whom we cherish having as part of the larger family at Calvary. One day, when the kids are older, their grandmother, Eileen, will tell them about their spiritual history and how it all goes back to Loretta Dr.
Loretta Dr. is a classic Orange County suburban street which winds through neighborhoods in Santa Ana and Orange. Throughout the years, several families who have attended Calvary have lived on Loretta Dr. One family in particular is Don and Gail Gum. 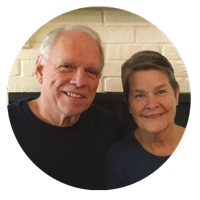 Don and Gail have been members of Calvary Church since 1963! They moved into their house on Loretta Drive in 1962 and raised all five of their kids in that home. Don went to be with Lord last June, and I had the honor of officiating Don’s memorial service in Samsvick Chapel. Don was infamously known in the Loretta Dr. neighborhood as the guy who would come home from his job as an aerospace engineer and mow his front yard lawn still wearing his work clothes! The Gum family had the gift of seeing their house and neighborhood on Loretta Drive as their mission field. They opened their home to foster children and helped take care of kids in their neighborhood who needed a little extra attention. The Gum’s always seemed to have extra seat at the table as they raised their four girls and son. The Loretta Dr. neighborhood loved the Gum family. In fact, at Don’s memorial service, there were dozens of neighbors who came up to me and shared about how special the family is. One of the neighborhood kids who hung around their house back in those days was a little 4th grader named Eileen Willis. 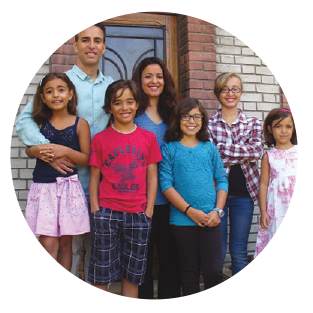 Eileen’s life was changed by living across the street from the Gum family. The Gum’s invited Eileen to Calvary with them and every Sunday from 4th grade thru high school, Eileen would jump in the Gum’s station wagon and come to church with the family. Eileen met Jesus in a real way at Calvary through the influence of the Gum family. 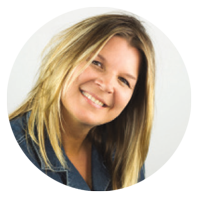 Eileen eventually grew up and married Kurt Angier, had four boys that she raised at Calvary and became one of our volunteer small group leaders for our high school group. Today, three generations of Eileen’s family, including little Ellie, Benny and Charlie, have been impacted with the good news of Jesus because of the Gum family’s influence on Loretta Dr.
Isn’t this amazing! Imagine what God wants to do in your neighborhood? Could there be three future generations of families who will love and follow Jesus because of your influence in your neighborhood? Calvary’s Purpose Statement (What We Do Together) - Calvary Church is a community where we CONNECT with God and others to GROW in our faith so we REACH Orange County and the world for Jesus Christ. Calvary’s Vision Statement (Who We Will Be) - Calvary seeks to be a church family that is better together, being changed by the Gospel to love like Jesus across all cultures and generations. Fill out the Block Map above - Write the names of your neighbors by listing out the names of the adults and children of the 8 closest houses or apartment units next to you and pay attention to the blank spaces. Take a second and identify each of the neighbors and decide if they are a stranger, acquaintance, or relationship. Luke 10:29 says this about the teacher of the law: “But he wanted to justify himself, so he asked Jesus, ‘And who is my neighbor?’” In what ways do we attempt to justify ourselves in order to avoid taking the Great Commandment literally? What are your fears about reaching out to your neighbors? Imagine yourself with the time it would take to be a great neighbor. What are the things you would have to sacrifice to make that a reality? Why would it be worth it? What could change in your life or in your neighborhood? TAKE A PACK OF GROCERY BAGS TO DISTRIBUTE TO YOUR NEIGHBORS: Calvary is partnering with the OC Rescue Mission this month to fill the food shortage in Orange County this Fall! 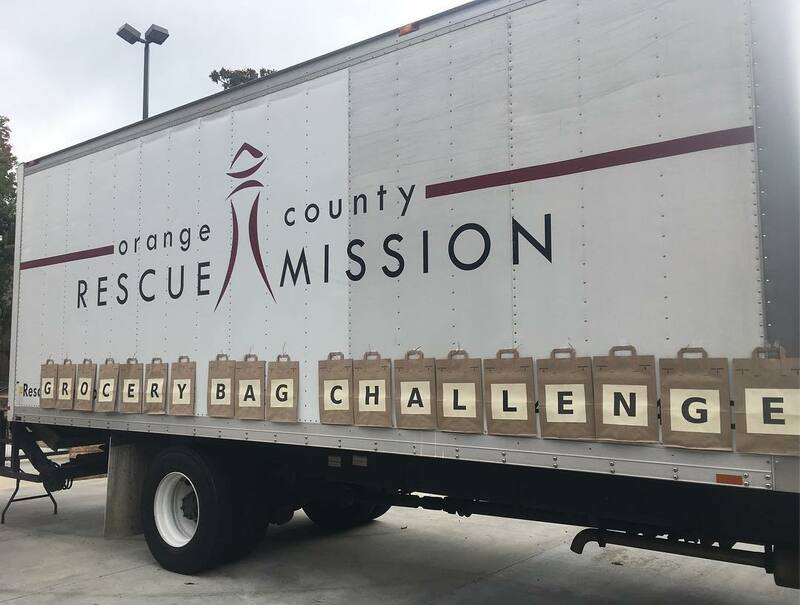 Distribute grocery bags to your neighbors this week and bring back filled bags over the next three Sundays to the OC Rescue Mission Truck in the courtyard. 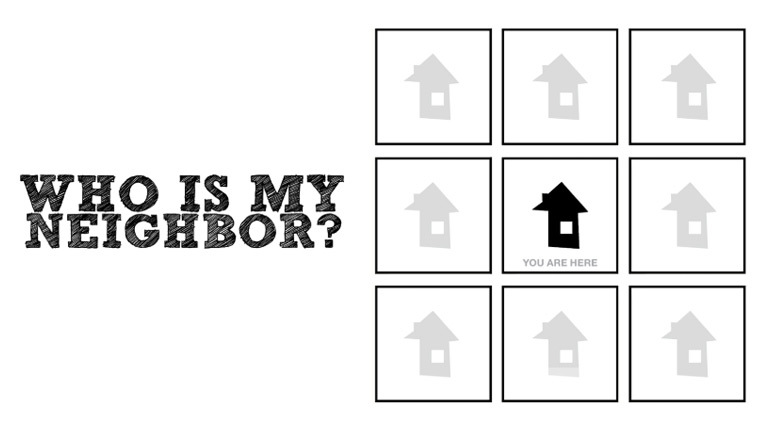 COME TO “THE ART OF NEIGHBORING”: What if Jesus meant that we should love our actual neighbors? Join this 6-week workshop on Sundays, October 14 - November 18, at 11:00am in A-205 for thought-provoking and practical discussions that could transform not only your life but also your community. ATTEND “IN DEFENSE OF CHRISTIANITY”: Come hear John Stewart share a special 3-part workshop on The Case for God, the Case for the Gospels and The Case for Jesus on Sundays, October 14-28 at 11:00am in B-205. John is a lawyer, Christian apologist, author, award-winning radio personality and co-founder of Intelligent Faith. PRAY FOR SOMEONE TO INVITE TO ONE OF OUR CHRISTMAS EVE CANDLELIGHT SERVICES: On Monday, December 24, at 2:00pm and 4:00pm, we will gather in the Worship Center to present the life-changing good news of great joy found in Jesus Christ. Be praying now about who you can invite to join you this Christmas Eve at Calvary Church. Our mission as a church family is for EACH ONE of us to REACH ONE person with the good news of Jesus Christ by Easter of 2020. Will you join us in prayerful participation and hopeful expectation of all that God will do as we pursue this mission together?